My family was busted for the crime of walking our dog. 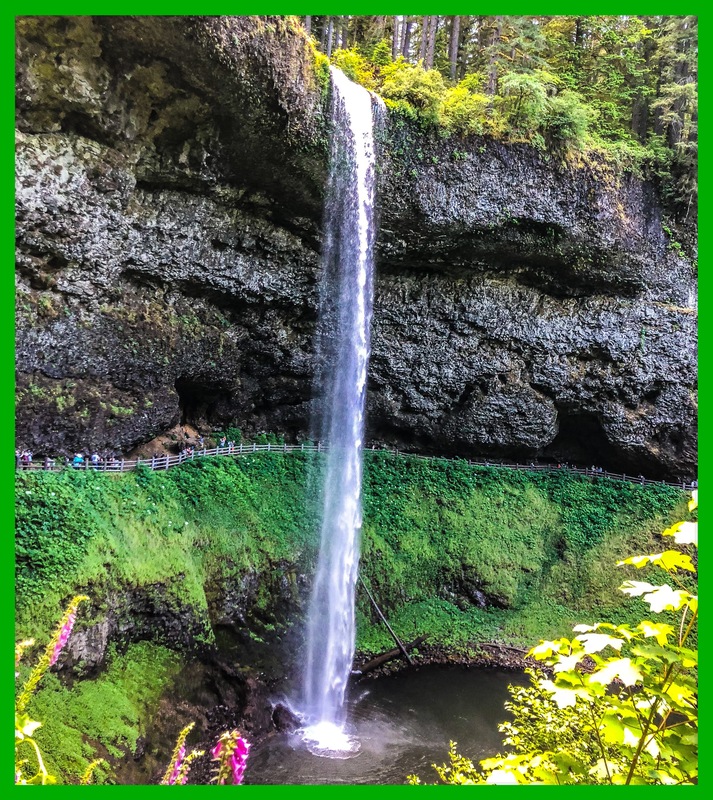 We were at Silver Falls State Park in Oregon. We hadn’t got 50 feet down the trail before the ranger was on us like stink on a monkey. We vehemently claimed our innocence; however, the ranger grilled us about a sign we had walked past and a notice in the park flyer, which I unfortunately, at the very time of her accusation, was holding open in my hand. If the ranger made her case to a jury, they’d convict us in 30 seconds. They’re amazing. 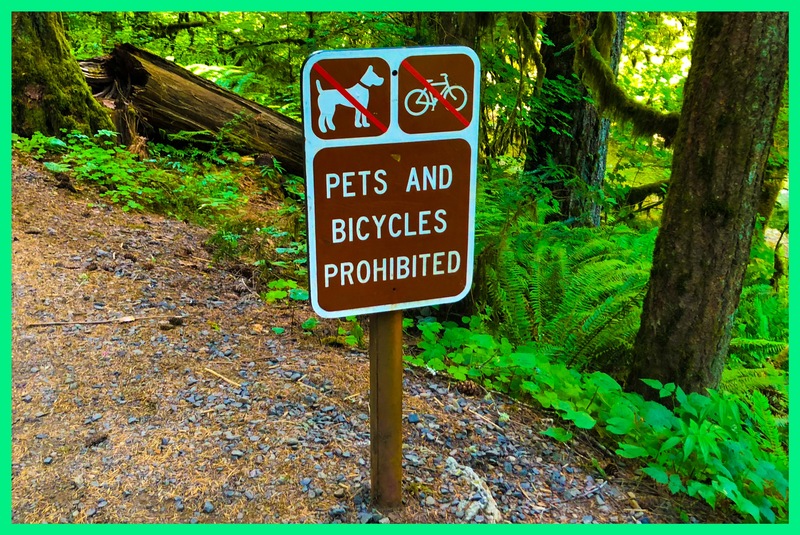 However, the rangers claim that old people and young children might trip over dogs along the “narrow trail.” So they outlaw dogs. The ranger defended the rule by telling us a kid had to be airlifted out the week before because he tripped over a dog. After the ranger let us off with a warning, she told us dogs were allowed on the boring Rim Trail (She didn’t actually call it “boring.” I’m just describing it to you). The Rim Trail runs for miles through the boring forest until you reach the North Falls (yeah, one measly waterfall – and not even one you can walk behind). Because we had already driven 90 minutes to get there, and the ranger was standing there keeping us from going down the fun trail (obviously because she thought we would have to audacity to continue down that trail if she left – which I can assure you we absolutely would have), we marched off down the Rim Trail. As we walked down the Rim Trail to visit the boring North Waterfall, where you can’t even walk behind it, I thought, “What were the odds that we would be so unlucky to come across that ranger?’ It turned out that the odds were 100%. That was the ranger’s hideout. The ranger laid in wait and sprung out like a jack-in-the-box, whenever when a dog passed. If you’ve seen one of those nature documentaries showing one of those predatory sea creatures that camouflage themselves and spring off the sea floor to devour innocent, unsuspecting fish, that was this ranger. I urge everyone to begin using the hashtag #BanCanineAmercianDiscrimination. This injustice must not stand. History must not repeat itself. Remember, “First, they came for the ….